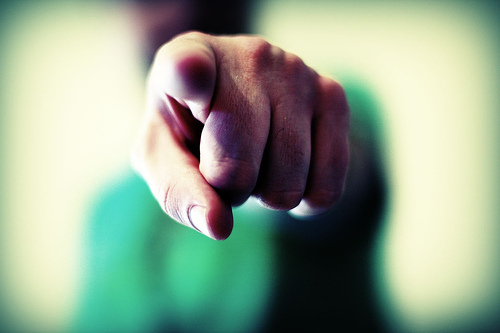 One of the easiest ways to make ourselves feel better about our service to God is to point fingers at another believer. Perhaps our lifestyle isn’t what it should be so we point out a doctrinal deviation in the next guy. Or, perhaps we don’t have the love that we ought to have for our neighbor so we point out the lifestyle of the fellow next to us in the pew. It’s an easy thing to do. And, it may make us feel better. However, it does not make us better. Americanism breeds humanism. Perhaps we hate to admit that as patriotic southerners. But, it’s true, nonetheless. The American dream is about self. The right to pursue happiness is generally taught as the right to work hard and build bigger barns. But, this has nothing to do with real happiness. Contentment in this life is only to be found in the finished work of Jesus Christ. A beggar will be happier than a king here on Earth if he knows Jesus as Savior. So, what does this have to do with the subject before us today? It’s simple. Selfishness and humanism breed a society that is unwilling to accept wrong. Psychiatrists have convinced most criminals that it’s not their fault, but somebody else’s. Drug addicts and drunks are convinced everybody else is to blame for their sins. Adulterers blame their spouses for their own wicked ways. By and large, we are a society who believes we are always right. So, anytime there’s a chance we may be wrong, the natural thing to do is point out faults in our fellow Christians. But, this is God’s job. How long would you visit an eye doctor who couldn’t see? Yet, this is exactly what the Lord says we are doing spiritually when we try to “fix” our brother’s problems when we have just as many problems (maybe more) than he does. Jesus said, “And why do you look at the speck in your brother’s eye, but do not perceive the plank in your own eye? Or how can you say to your brother, ‘Brother, let me remove the speck that is in your eye,’ when you yourself do not see the plank that is in your own eye? Hypocrite! First remove the plank from your own eye, and then you will see clearly to remove the speck that is in your brother’s eye”(Luke 6:41-42). Helping your brother grow is a good thing. Correcting him so you can ignore your own faults is another altogether. How much better would church life be if we all sought out the truth of God’s Word and how we should apply it in our lives? How much more profitable would pulpits be if they just preached the Bible? How much happier would we all be at the Judgment Seat of Christ if we cultivated our own Christianity rather than trying to tear down our brother’s crops? Children of God, let’s all pray that the Lord would lead us to love one another, strive to serve Him, and then gently lead one another into the truth. Certainly, that’s what He’s done for us! !